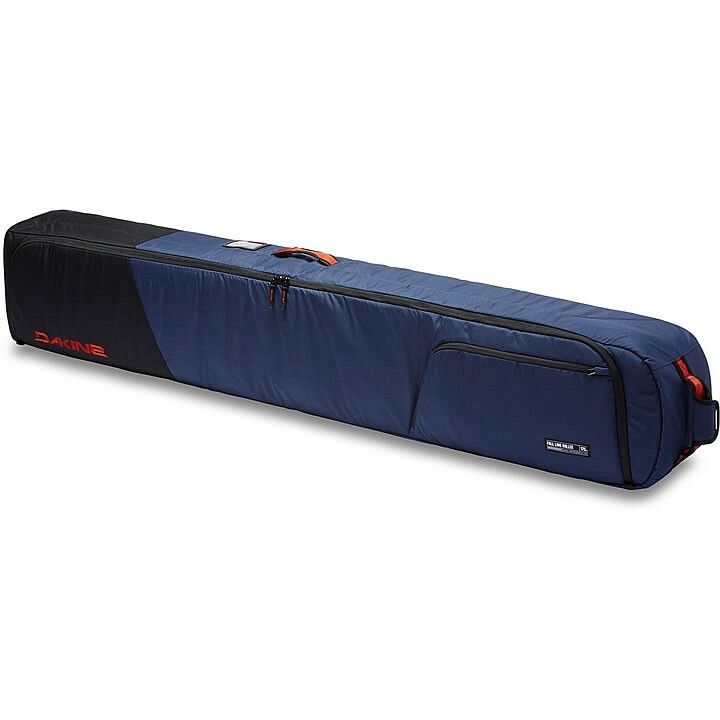 Dakine's most popular ski roller bag, the Dakine Fall Line Ski Roller Bag is the perfect jack-of-all trades ski bag. Well-featured and lightweight with all the features you'd need for a daytrip to the mountain or a week-long vacation hunting pow. With room for two pairs of skis, a set of poles and a removable boot bag, it's a great solution for every kind of ski trip. The tow handle pairs with a rolling luggage bag, for one-handed navigation through an airport or hotel lobby, and the zippered external pocket keeps gloves, hats, travel papers and magazines easily accessible.